This saying means a lot to me. I firmly believe that the world we currently live in, frowns upon being vulnerable, emotional and shines a negative light when some become too sensitive or say what’s on their mind. This, in fact, drives me crazy. I think people are afraid of feelings. God forbid we show someone how we really feel about them or a situation or voice when we’re not okay with something. It’s so easy to criticize someone who isn’t afraid to voice how they feel and at times wear their heart on their sleeve. Again, I think people are afraid of raw, genuine feeling. I also think this can also be a reason why we don’t have the stronger relationships we want. What are we afraid to say that we don’t? What would help you get past something or feel better about something if we just opened our mouths and said it? Call out the elephant in the room. I’m not saying make a big deal over everything— at all. I’m saying, let’s stop worrying about how we’re going to look, what others are going to say, and let out what needs to be said. 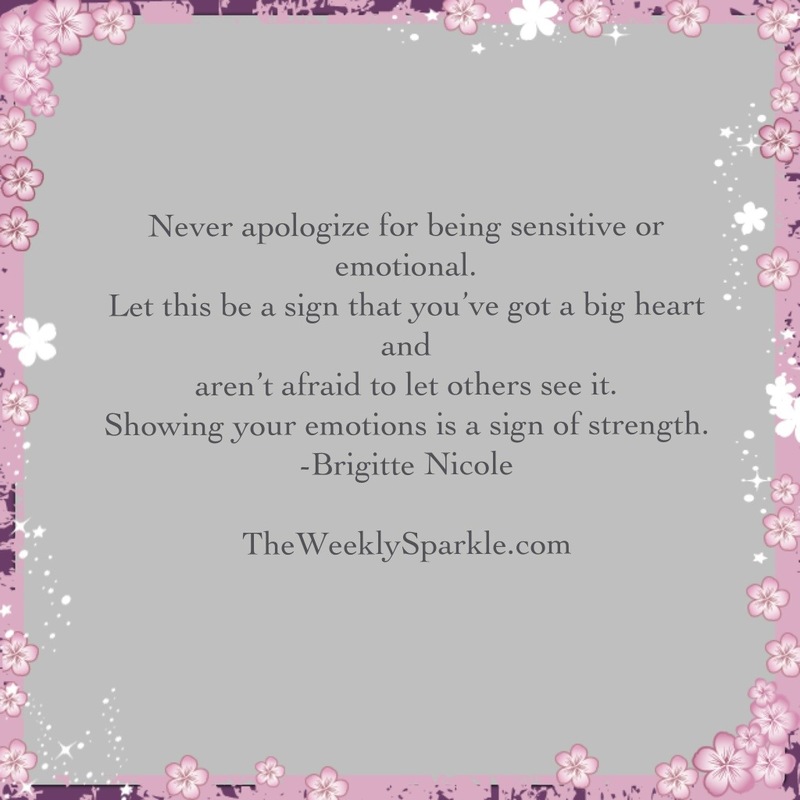 It’s okay to be sensitive and emotional at times. It. Is. Okay. And if you ask me, the stronger the person, the more likely they are to allow these emotions come through. When someone has hurt you, they should know it. If you’ve hurt someone, it should be okay to talk about. All relationships are not going to be perfect, but if you’re going to have the person in your life for a reason, it’s worth giving it the best shot that it deserves. 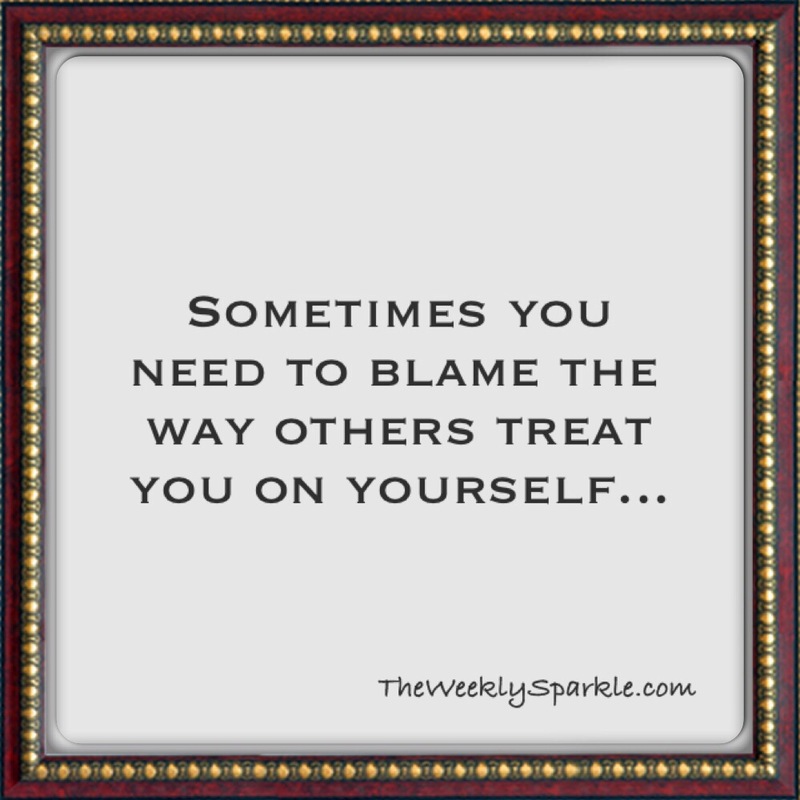 Sparkle for yourself this week- be emotional and sensitive, with no need to apologize for it. 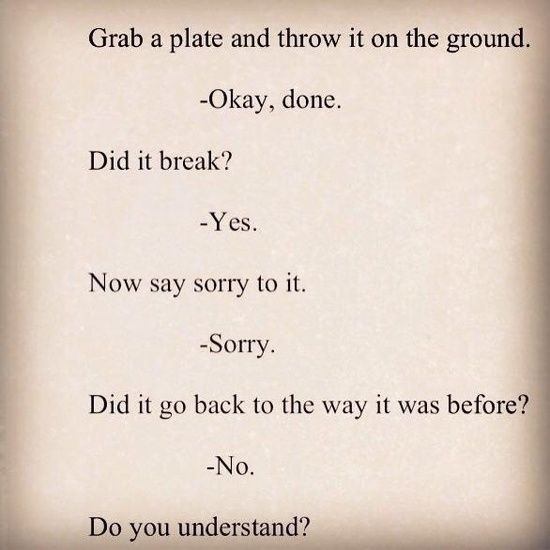 Grab a plate and throw it on the ground. Did it go back to the way it was before? Wow. My cousin sent this to me as its been a topic that she and I have discussed a lot over the last few years. I think it’s a harsh reality that many of us have to face every now and then when the friendship we broke, or a friend broke with us, just cannot simply be repaired. I speak from experience in knowing what it is to be on both ends: the breaker and the breakee. I’ve always prided myself on being a good friend and doing what I think is right toward all people. Unfortunately there have been a few times that I can look back on and wish I had made better decisions based on the needs/expectations of my friends and what the situations called for. While hindsight is always 20/20 and everything is clear now, at this point you need to accept that things won’t be as they once were, and adapt to the way they are now and will be.